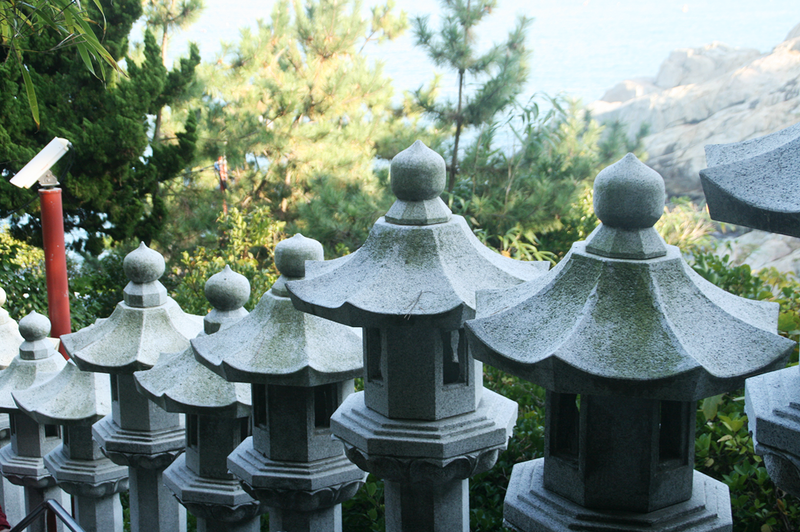 For two days, we left Seoul and roamed the beautiful seaside city of Busan, South Korea. 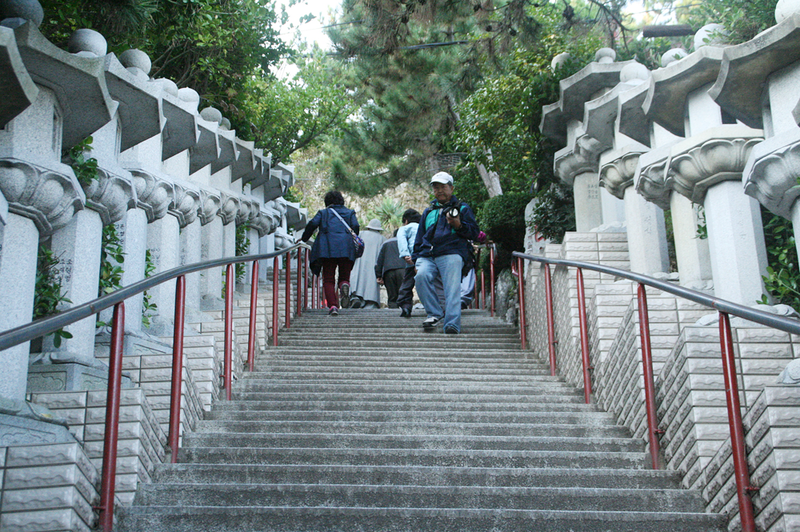 The home of Korean drama Reply 1997 was everything I dreamed of. And more, of course. Taking the trip down south is probably one of our best decisions when planning our travel. We loved every minute we spent in the province. 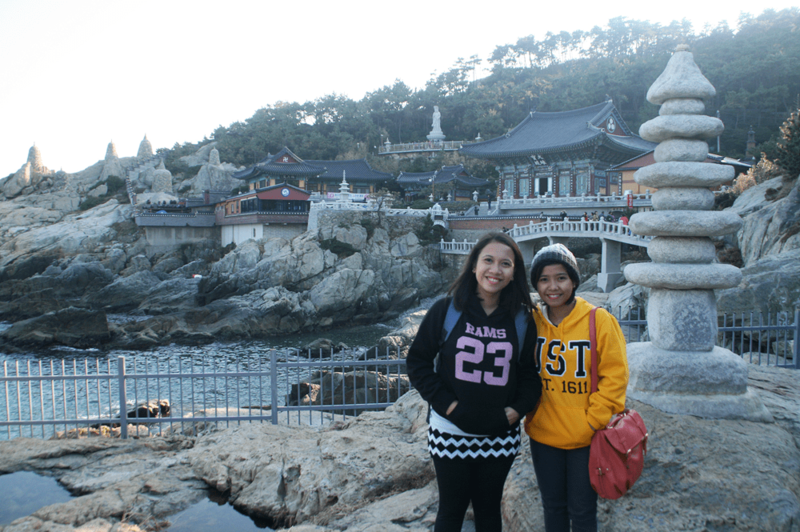 On our first day in Busan, we only had a half day to tour the city. 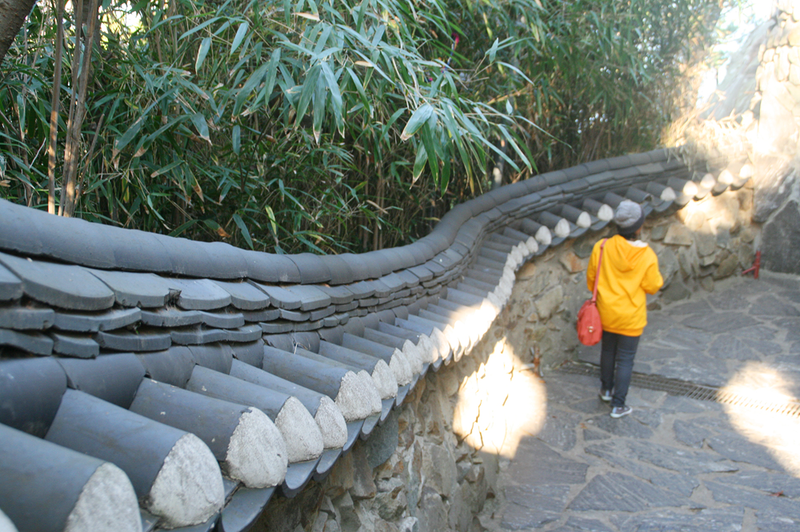 After checking in Hi Korea Hostel, we scooted out quickly to try and follow our itinerary (we failed, haha). 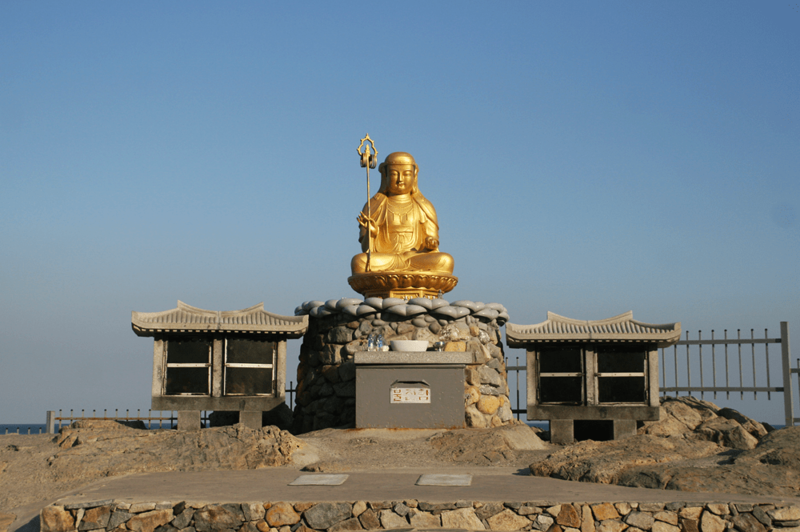 The first on our list was Haedong Yonggungsa Temple, a cliffside temple a few minutes away from Haeundae beach if you take a cab. It was nearing sundown when we arrived, but the place was pretty small so an hour two is enough to explore the place. However, it’s really quite out of the way. 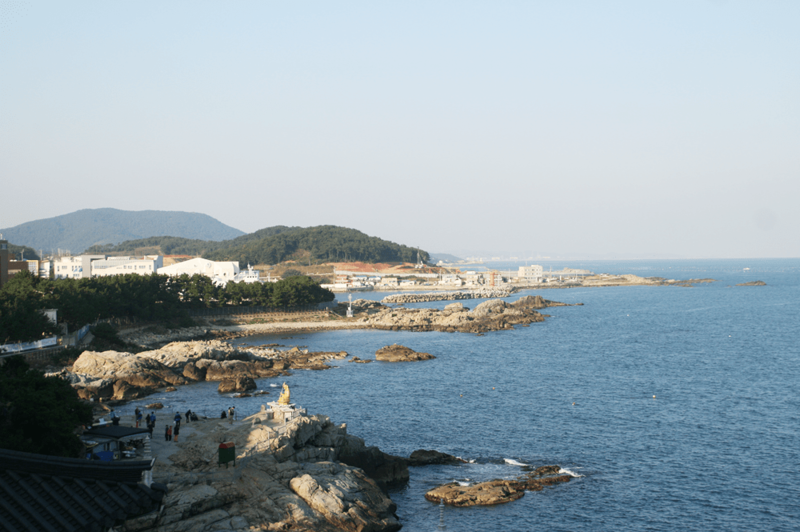 The nearest subway station is Haeundae, and it’ll still take 15 to 20-minute to arrive via taxi. It’s all worth it, though, because the view was pretty amazing. 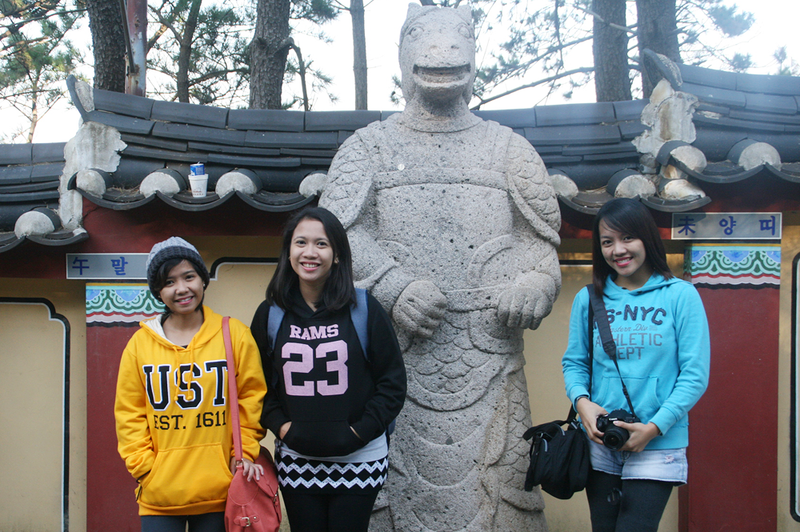 We met some Filipinos who willingly took our photos. I’m not sure, but we thought they were filming something. And since we aren’t a friendly bunch, we were too shy to ask if they were only just touring. We also saw them in our next destination. Iris and I got separated from Kimpee and Jinky who were always excited to head first. Haha. It might also be because Iris and I are slow walkers. Or also because I take tons of photos and take too much time breathing in everything I see, hear, smell and feel. Mostly everything I see. 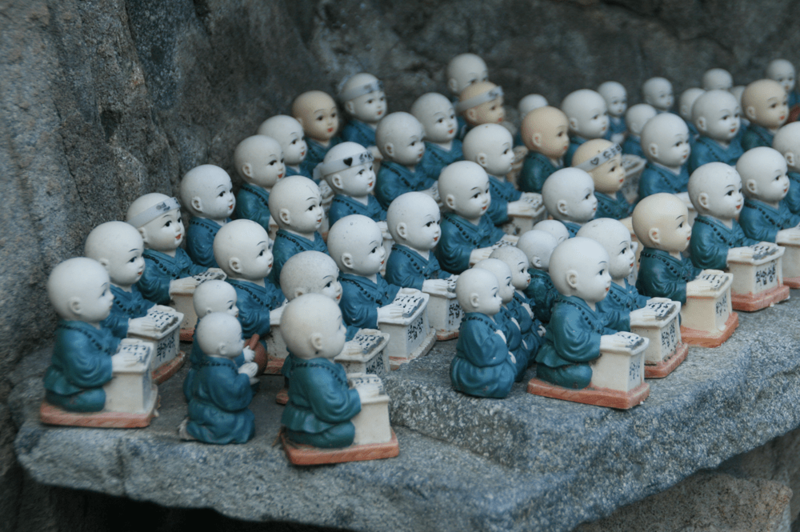 There was an abundance of these little Buddha dolls around the temple. I only took photos of a handful, but there were hundreds! It’s interesting because you can see find them in the cracks of stone walls, in small and big numbers. The place was swimming with seniors who came to the temple to pray. I am always amazed to see these halmoni’s and haraboji’s easily climb the steep steps snaking around the rocky cliffs. 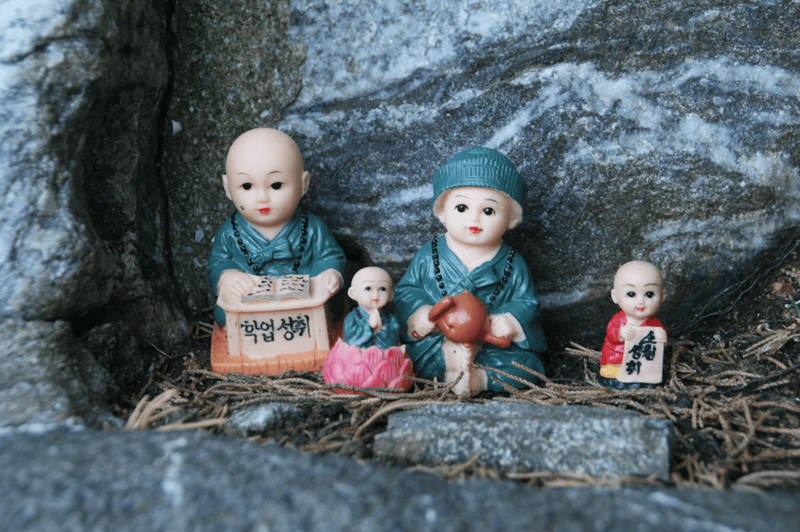 Operating hours: 4:00 a.m. – 7:00 p.m.
Drop off at Haeunda Station (Line 2), Exit 7. 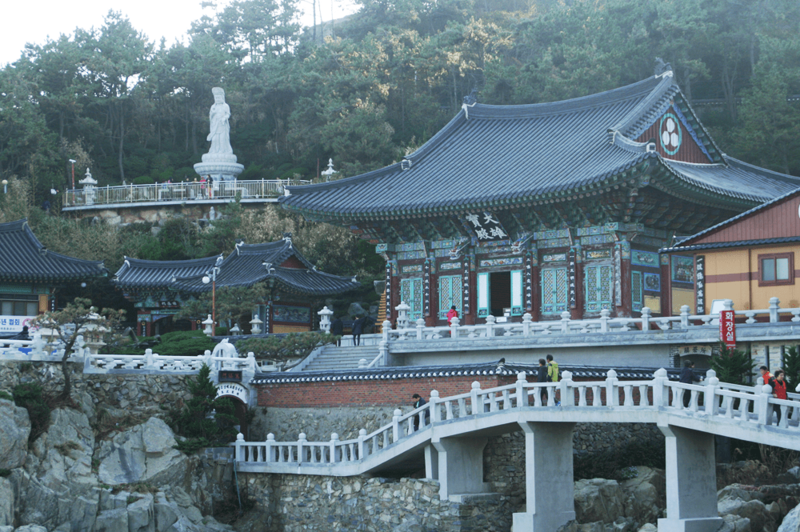 Take Bus 181 and get off at Yonggungsa Temple. 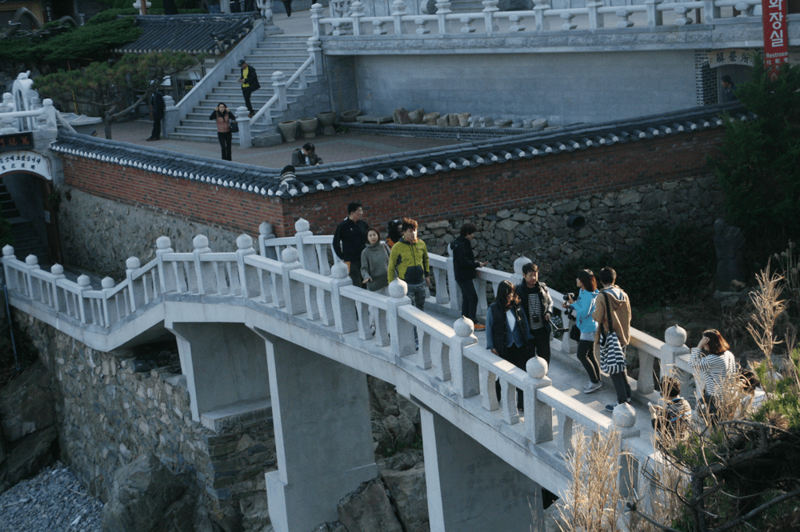 For 10 to 15 minutes, walk from the bus stop to Haedong Yonggungsa. Ahh! 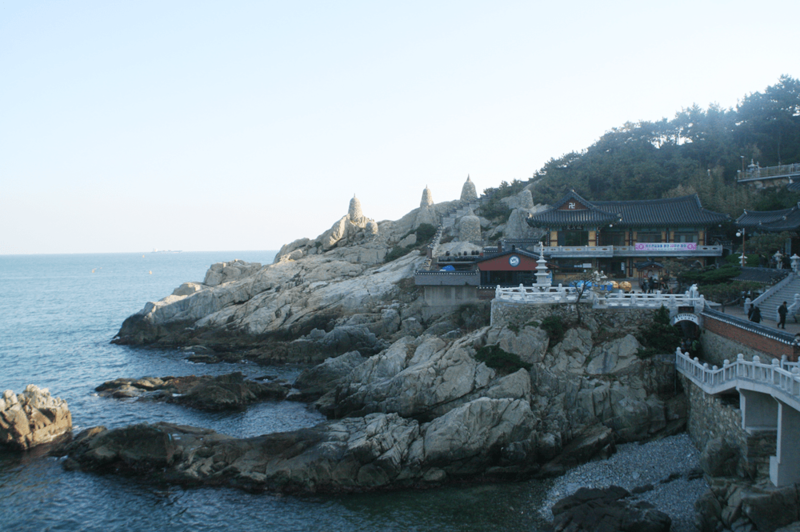 I wanna visit Korea too! Wonderful photos, wonderful travel guide! 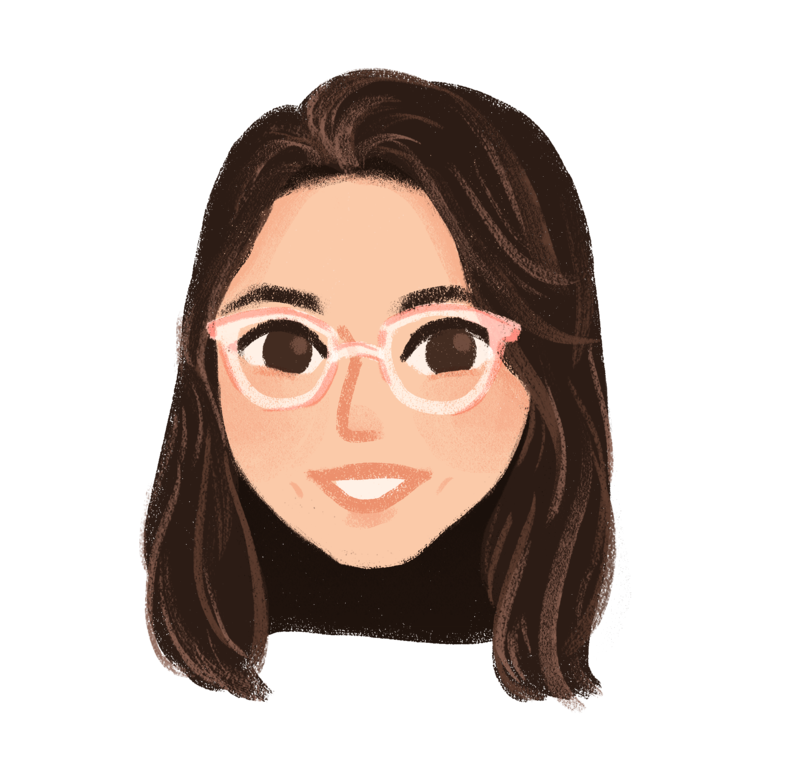 hi janey, i am going next month to seoul and busan. 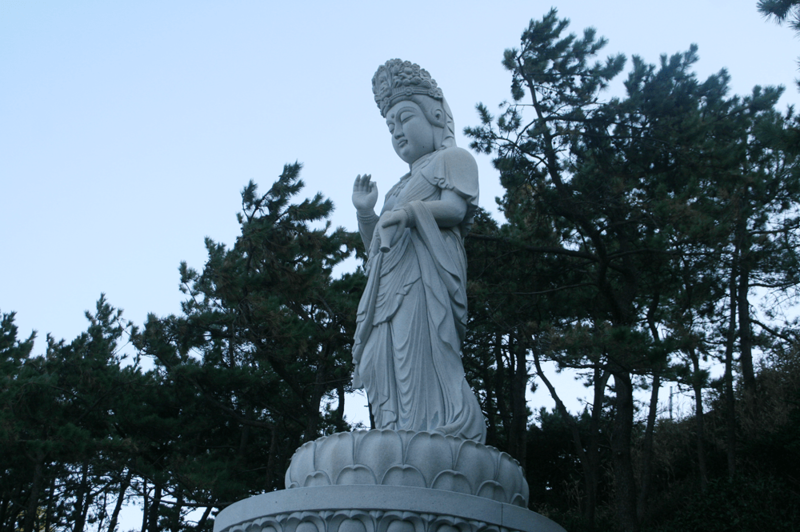 may i ask how much the cab fare was from haeundae to the temple?